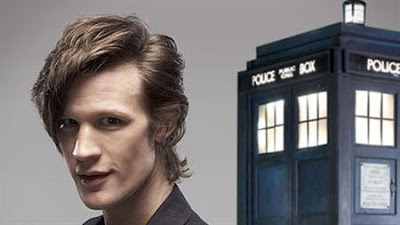 The BBC has chosen a relative unknown, Matt Smith, to take over the role of Doctor Who in the long-running science fiction television series. The actor will be the 11th timelord in 45 years to travel across the universe in the Tardis time-ship and at 26, the youngest. He will replace David Tennant who leaves at the end of this year and make his debut next year. The BBC revealed the identity of the new Dr. Who on a special edition of "Doctor Who Confidential" that was broadcast on Saturday. Smith has appeared on television, in films and on stage. He is best known for a role in the BBC adaptation of Phillip Pullman's "The Ruby In The Smoke." "I'm just so excited about the journey that is in front of me," Smith said in a statement. "The challenge for me is to do justice to the show's illustrious past, my predecessors and most importantly to those who watch it. I really cannot wait." Lead writer and executive producer, BAFTA-award winning writer Steven Moffat, who is taking over from Russell T. Davies, said it took a special actor to play the doctor, a role first filled in 1963 by William Hartnell. Over the years the role has also been played by Patrick Troughton, Jon Pertwee, Tom Baker, Peter Davison, Colin Baker, Sylvester McCoy, Paul McGann, and Christopher Eccleston. "You need to be old and young at the same time, a boffin and an action hero, a cheeky schoolboy and the wise old man of the universe," said Moffat. "As soon as Matt walked through the door and blew us away with a bold and brand new take on the Time Lord, we knew we had our man." To tell you the truth I'm not a happy camper about this decision but then I was soooooo wrong about David Tennant and even Catherine Tate when I thought they'd be rubbish, so let's hope I'm wrong again and Matt blows us away as the new Doctor. I`m hoping that Steven Moffat decides to use him as a means of answering a FEW unanswered questions - ie : the ORIGINS of Doctor Who. As I have said in my blog and my Facebook group (that I have just started), it`s so obvious with their new choice, that this is the logical avenue to take. It would offer up so many possiblities and allow us to see a little more of the Timelords (and maybe, just maybe the TimeWar?) But hey, who are we to say what will happen!? !